Xbox users! Right now Newegg is offering BOGO FREE Xbox Live memberships! This deal includes the 3-month Gold memberships (regularly $24.99). Plus, use code EMCTUTD52 at checkout to get an extra $3.99 off. 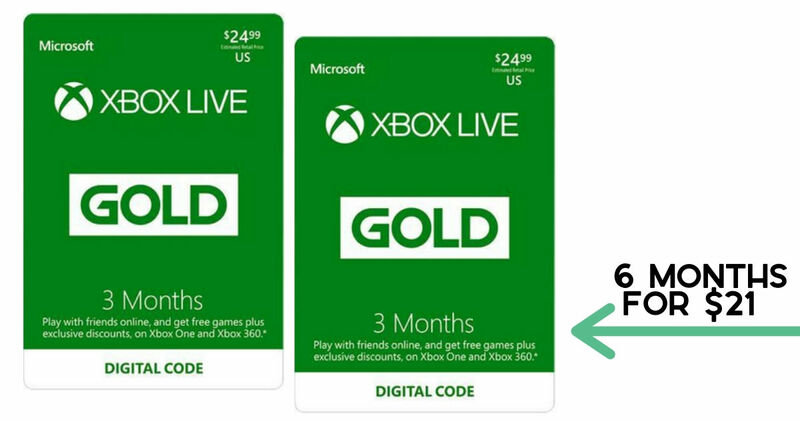 This gets you 6 months of Xbox Live for $21!